We used to transfer large data from a computer to another computer by means of a hard disk or a USB drive. When the two devices are not in one place we commonly use file sharing websites to getting things done. Most of the websites are very limited and almost impossible to share a large file without a premium account. These days we have a vast choice of file sharing between computer to a smartphone or a tablet with the help of free large file sharing websites. This article will help you to choose the best website to share your large files from a computer or a smartphone and vice-versa. 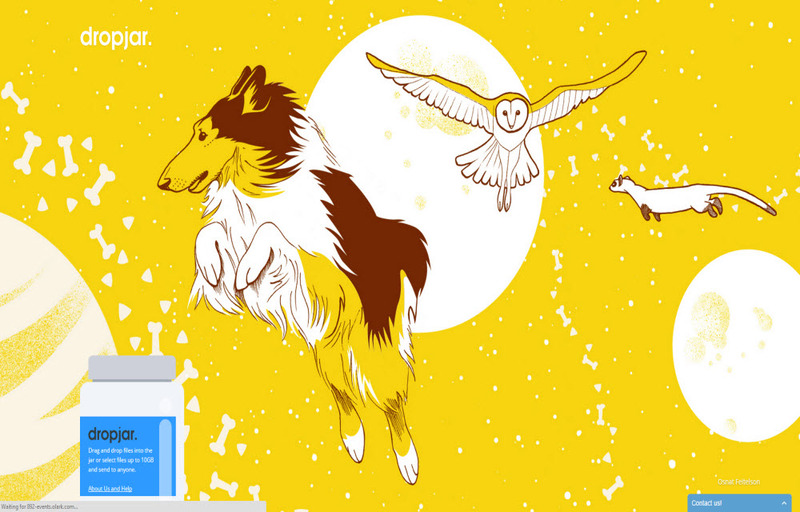 WeTransfer is fast and easy to use website for instant file sharing. By just opening the site you can send the file up to 2GB size if you want more you can go for WeTransfer Pro to get size limit up to 10GB. File dropper service allows you to share up to 5GB size file for free. Just open the website and click onthe upload button select the file. After uploading the website creates a sharing link and embed code to share file on websites and forums. 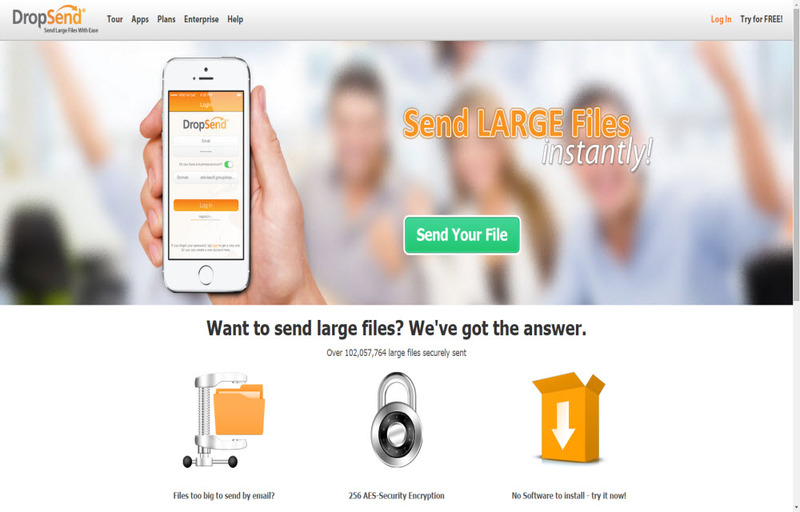 Using DropSend you can send a file up to 8 GB size without any hassle. The service is idle for images, songs, and videos. It very fast and easy to use, and also available with 256-bit AES security. Dropjar is another great service to share your large files with anyone. The usage of the Dropjar is pretty simple, just drag and drop the file you want to share on the Dropjar website and enter your email and recipients email and just a message. Rest of the process is done by Dropjar. 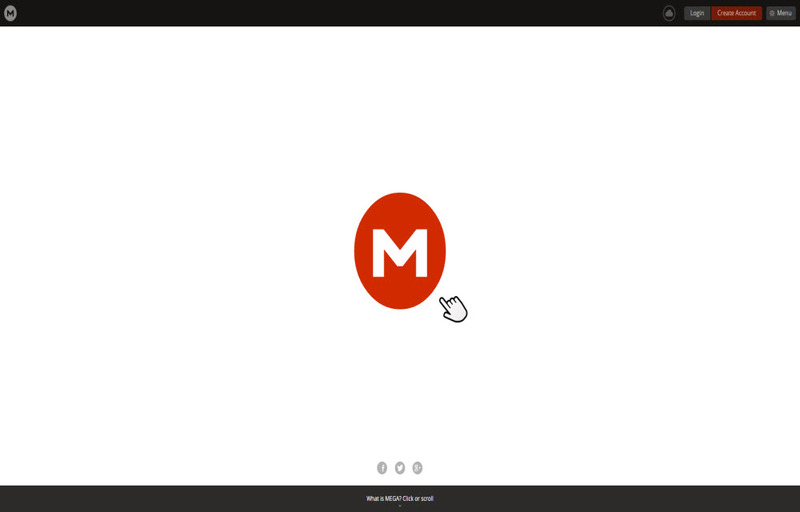 Mega is our favorite choice for instant large file sharing online. A user can get 50 GB upon signing up if you want more pro package brings you up to 4TB file sharing plans.